Last multiplier event celebrated in Santa Cruz de Tenerife get show Talented Europe project by press releases in different medias: local, regional and national newspapers, and regional radio and TV. On April 6, 2017 was organised in Santa Cruz de Tenerife Talented Europe multiplier event that was aimed at disseminating and publicizing the project ‘Erasmus+ 2015-1-ES01-KA203-016176’ and also to share the intellectual outputs of the project with a wider audience was. The Multiplier event dubbed ‘Talented Europe Tenerife’ was hosted and organised by CIFP Cesar Manrique and IES Puerto de la Cruz at the Auditorium of Tenerife “Adan Martin”. All the partners involved into the said project were attending this event. We are here talking about: European Projects Association – EPA, IES Puerto de la Cruz, Technical University of Košice and the University of Bedfordshire. The 4th transnational meeting for the Talented Europe project (Erasmus+ 2015-1-ES01-KA203-016176) was held at the Centro Integrado de Formación Profesional (CIFP) César Manrique in Santa Cruz de Tenerife, Spain on the 4th and 5th April, 2017. The main objective of the meeting was to review undertakings and to develop strategies for the next phase of the on-going Talented Europe project, an Erasmus Plus sponsored project which aims at connecting students to employers across Europe with endorsement of their universities and increasing their employability opportunities. Do you know students who desire to join the labor market? Do you need young people with #talent in your company? We invite you to the event: #talentedeuropeTF where we will carry out a presentation on the Talented Europe application on Thursday April 6, 2017 at the Tenerife Auditorium Adán Martín in Santa Cruz de Tenerife. In order to know if we get to show the idea of the project Talented Europe with the web design created for the landing page we create some days ago two usability 5 seconds tests using the online tool offer by UsabilityHub. We would like to show in this post the results for 5 seconds UX (user experience) tests done. The usability 5 seconds test is a simple technique for a quick understanding whether our pages are effectively communicating our ideas. It is about identifying if a main focus at the interface level is designed for each screen. It is based on the principle of answering three questions during the first 5 seconds of the visitor’s view of the page. The main outcome of the project is a multiplatform application, an online/onphone ‘app’ which will make the business of matching top students to job and internship opportunities across Europe. You are invited to the Talented Europe Roadshow on 4th November at the University of Bedfordshire and have the opportunity to test and influence the design of a free job dating App. The Business School at the University of Bedfordshire is the UK partner for an EU-funded Erasmus Plus project ‘Talented Europe’ with the aim of developing a free phone app linking employers and top students and graduates across Europe for career jobs or internships. University and college tutors are also key stakeholders in that academic tutors can verify the quality of each student/graduate before admission to the Talented Europe database. 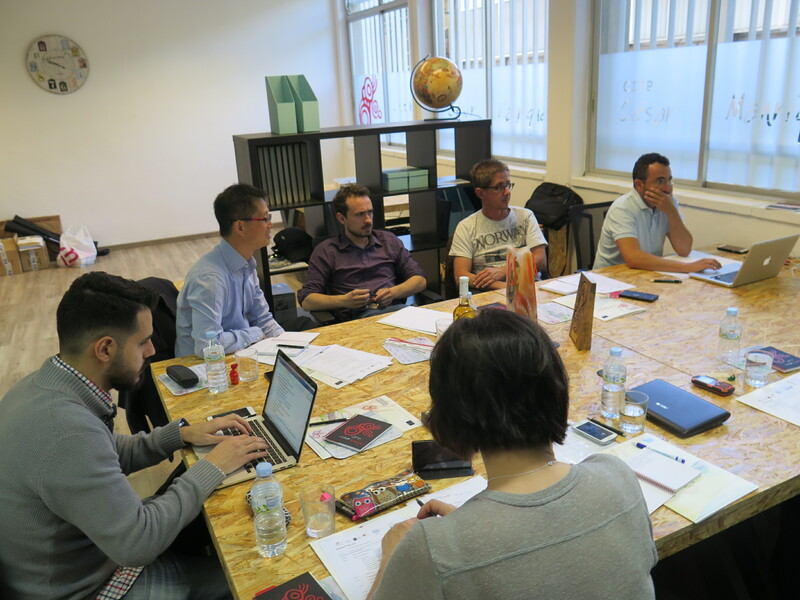 The 5th and 6th May 2016, took place in Brussels the second Transnational meeting of Talented Europe. 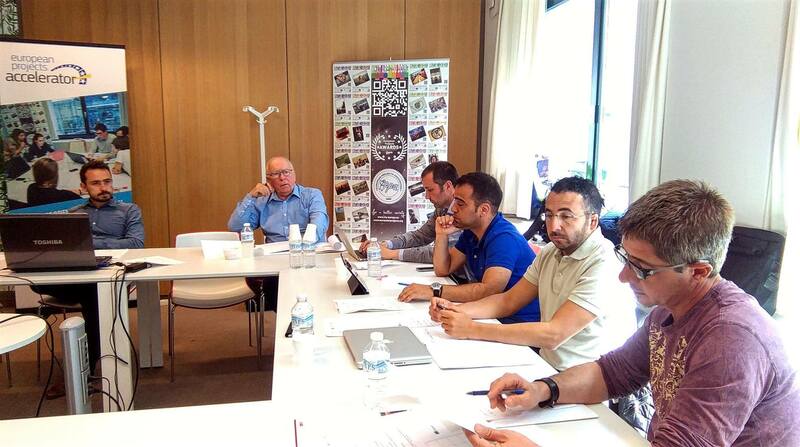 The said meeting was hosted by the European Projects Associati on in its different offices. All the other partners were attending: CIFP Cesar Manrique-Alumnos, IES Puerto de la Cruz, Technical University of Košice and the University of Bedfordshire. During this meeting, the partners have been debating on the project’s evolution, the first approach of the web application, the Dissemination plan and Social Networks strategies and other key points of the above project. This has enabled them to review and re-adapt their strategies in order to ensure the maximum performance of Talented Europe.